Foreign un-Australian ragger from Lakemba nurses the wounds of her son after he got smashed by patriotic Aussies acting on the orders of Hon Rev Fred Nile MLC. There's nothing like a fair dinkum Aussie Christmas. Peace on earth, goodwill to all men. Unless if you happen to look like Jesus or his mum and you live in parts of outer Sydney. If it [the school development application] does get approved, everyragger that walks up the street's going to get smashed up the arse by about 30Aussies. The spirit of these sentiments was supported by the Reverend Fred Nile, leader of the allegedly- Christian allegedly-Democratic Party, who was invited as guest speaker to the meeting. Nile's CDP isn't too fond of anyone it deems Muslim. And Nile's definition of Muslim is rather broad. During the last New South Wales state election, Nile's party issued a press release entitled ''No More Muslims''. Nile promised his candidates would share preferences with all Liberal candidates except Muslim ones. Nile targeted one Liberal candidate, Marrickville businessman Ramzy Mansour. Poor Ramzy's Coptic Orthodox Christian faith wasn't enough for him to gain CDP preferences. Ned Mannoun, a Liberal candidate in Liverpool, was much luckier. The CDP were happy to hand this young candidate their preferences, despite his Lebanese Shi'ite Muslim ancestry. Sectarian bigotry and prejudice require the suspension of reason and logic. But why stop at Mohammed? How about that Mediterranean lad who wore a multicoloured jacket and became ancient Egypt's agriculture minister? Or better still, given it's Christmas, why not the name of that carpenter's step-son who was born in the West Bank town of Beyt Lahm some 2000 years ago? Indeed, it's likely that the carpenter's ragger wife would suffer the same fate at the hands of 30 Aussies as suggested by the Camden protestor. Certainly statues of her that adorn Catholic churches across the world never show her with an uncovered head. Speaking of raggers, one Camden local newspaper ran a profile of an Anglo-Australian woman who had lived in the Camden area for over 15 years and who just happens to cover her head with a loosely fitting scarf. Until that article, she had been active in the local community. Now, she feels shunned. One of her adult children described her feelings. Mum asked one of them, 'What's changed about me?' Then one of the locals said to her, 'We thought you were wearing that thing because you had cancer.' Yeah, right! Cancer for 15 years? Yes, prejudice does involve suspension of reason. After the meeting, Fred Nile quoted a verse from the Koran that contradicted the Christian belief in Christ's divinity as a reason to oppose the school. No doubt Nile would similarly oppose a Jewish school in the area. Yet when the ABC reporter asked Nile whether he took all verses from the Bible literally, he was left dumbfounded. Nile, of course, didn't quote those verses of the Koran where Mary is described as having been chosen above all women throughout the ages to undergo the Immaculate Conception. Nor does he quote verses in which Mary is advised by the angel that she will give birth to God's Messiah. And it's unlikely Nile has even read those verses where Jesus's miracles are mentioned. And so in the 2007th year of our Lord, it seems parts of Australia would still be considered unsafe for Jesus to return to. How ironic that Christmas this year coincides with the most sacred religious festival in the Islamic calendar. Millions of Muslims have gathered in Mecca to take part in rites dating back over 3000 years in a place they believe was consecrated by Abraham. Their relatives and friends back home will be celebrating with prayers, exchange of gifts and visits to family and friends. In Australia, the end of festivities will approximately coincide with Christmas Eve. Meanwhile, Jewish Australians have recently completed the eight days of Hanukkah, commemorating the sacrifices of the Jewish warriors who defended their House of Worship and their faith in the Maccabean revolts some two centuries before Christ. A calm and rational study of Abraham's triplet faiths would lead any reasonable person to conclude their similarities well exceed their differences. To believe otherwise, and to manufacture hatred between followers of these faiths, requires a suspension of reason. Whatever some people in Camden might think, the rest of us should make sure we don't allow this Christmas to be consumed by sectarian prejudice. Irfan Yusuf is a Sydney lawyer and associate editor of AltMuslim.com. This article was first published in The Canberra Times on Saturday 22 December 2007. Whether Fred Nile opposes the establishment of the Quranic Society's school in Camden is neither here nor there, as far as I'm concerned. For me, there are deeper questions. 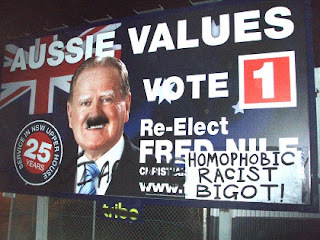 I think Fred Nile is a threat to our liberal democracy. Here's why. Fred Nile has drawn the line. He has declared Australia to be a Christian country. He has also declared that we shouldn’t allow schools that reject Christian doctrines such as the divinity of Christ and the idea that Christ is the Son of God. On that basis, I challenge Fred Nile to call for the closure of Moriah College. I call upon Rev Nile to hold a public meeting at St Ives which will support the closure of Masada College. 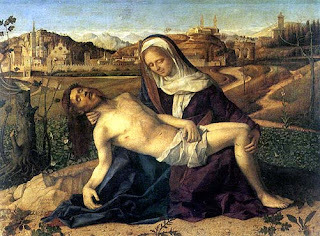 Jews, like their Muslim spiritual cousins, reject the doctrine of Christ’s divinity. Indeed, Judaism goes further. Whilst Muslims accept Jesus as God’s Messiah, Jews reject this notion. So are we now going to say that Jewish schools are even more undesirable than Muslim ones? Australia’s first Australian-born governor-general was a Jew. Jews have served in prominent positions at all levels of government, as well as in business, academia and the arts. Muslims have also served in local and state governments, as well as in academia, the arts and business. Believe it or not, Buddhists, Hindus, Sikhs, Druze, Bahais and followers of other faiths have also contributed to this nation. As have atheists and agnostics. By sponsoring shadowy meetings and attracting racists and neo-Nazis from outside Camden to spread sectarian hatred, Nile is doing a grave disservice to the people of New South Wales. Further, Nile’s antics are giving Christians a bad name. Christianity is an inclusive faith that teaches compassion, mercy and good will to all. Nile is preaching a message that has little or nothing to do with Christianity. Some months back, neo-Con far-Right columnists and politicians were wondering why more Muslims weren’t calling for Sheik Hilaly to be silenced. I wonder whether they will be calling on Christians to silence Nile. But unlike the Howards and Robbs and Costellos and Albrechtsens and Bolts of this world, I don’t subscribe to the Hitleresque doctrine of collective responsibility. Why should all Christians be held responsible for the mad senile rants of an ageing and increasingly irrelevant fundamentalist politician? Let’s do some numbers. How many Australians tick the ‘Christian’ box on their census form? How many of these people voted for the Christian Democrats at the last Federal Election? Need I say more? Here’s a claim that doesn’t need social research to back it up. The overwhelming majority of Australian Muslims and Christians and Jews and Sikhs and Hindus and Christians and people of other faiths and no faith in particular want to live in a country where people are free to believe and worship in any manner they wish. If Fred Nile and his gang of religious fruitloops cannot accept this, they should give up their Australian citizenship and set up their theocracy elsewhere.